I can’t believe it’s 2014 – already! I have no excuse for not having a recent post, other than my Master’s thesis being due very soon. Just imagine all the celebratory food cooking and related cacophony of posts I could do after THAT 😀 For now, I wanted to post this simple & sweet blurb on nachos. Ahh, cheese. 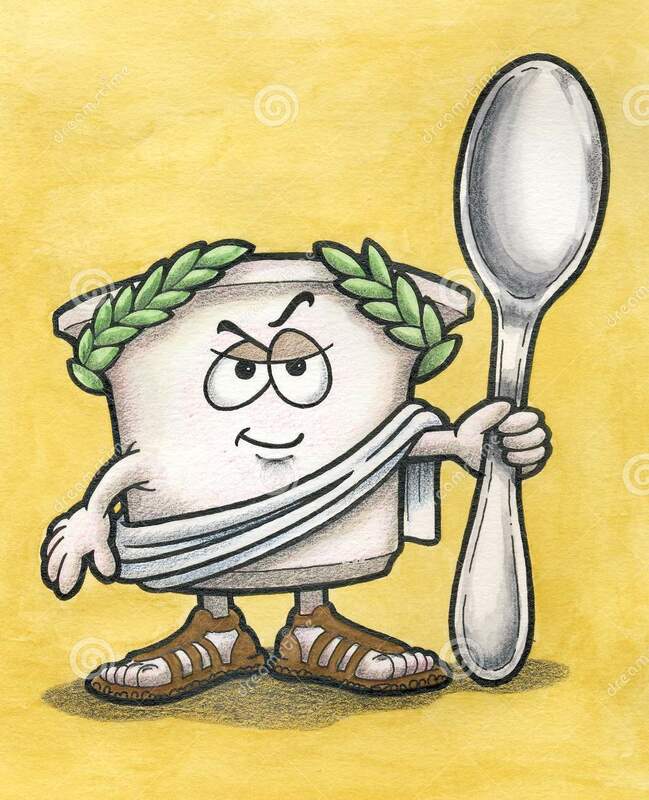 Where would food be without you? One of my favorite foods is cheese. One of my other favorites? Salsa. I am also a carnivore by nature and can’t help but like eating meat from time to time too. Where do these three meet? 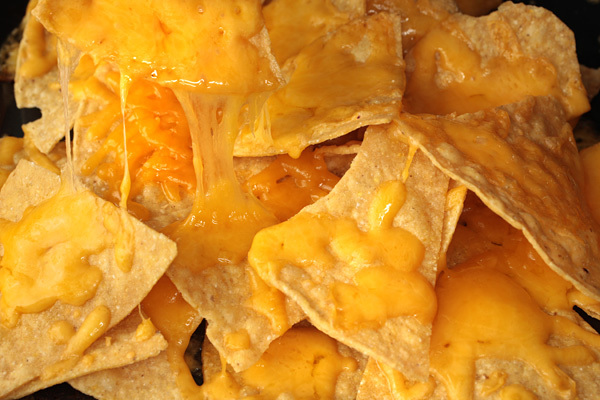 Cue in – nachos. This undervalued dish isn’t necessarily unhealthy, just watch the cheese! Nachos are on the rise and if you’ve a bad or nonplussed experience of the dish before, it’s time to make new memories, I mean nachos. 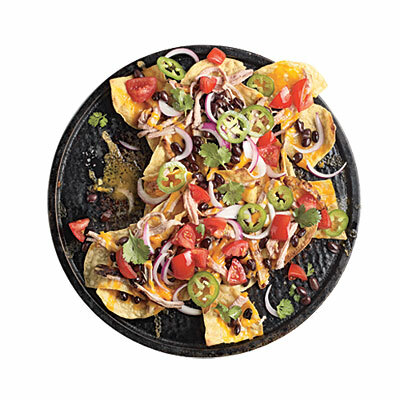 We are lucky to be in the era of limitless culinary diversity and the sheer amount of different things you can put on cheesy nachos is kind of mind-boggling. 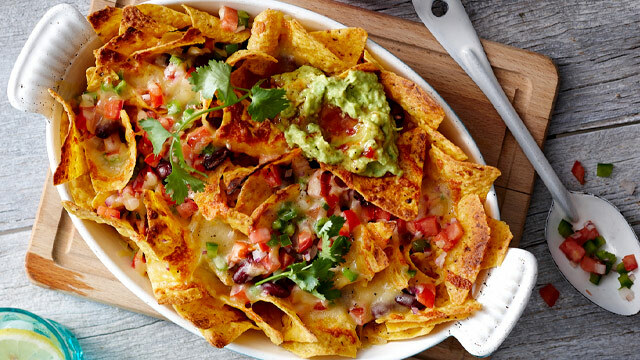 When it comes to nachos, here’s 3 tips to remember: 1. It’s quality, not quantity. Gourmet ingredients give you some deluxe nachos and no matter what, you will be full by the time you’re done (and there will be some left). 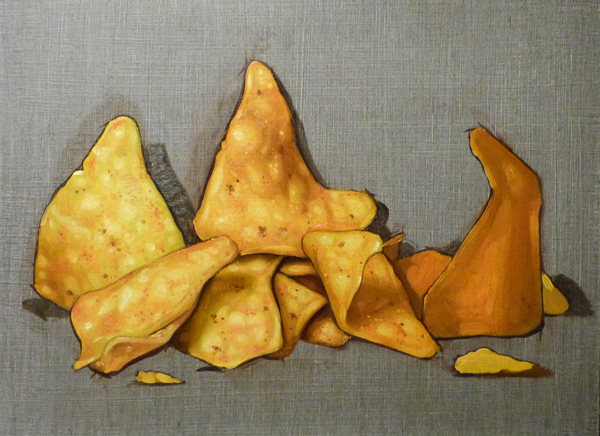 Spread a baking sheet onto the oven pan and one layer of chips, no need to make mountains – I know tortilla chips are cheap but please refrain, for the sake of your stomach 2. Don’t skimp on the cheese. Broiled chips aren’t very tasty by themselves, but add the right amount of cheese and viola, irresistible goodness. The best part? Broiling this dish takes 1-2 minutes MAX. You put it in and you’re eating moments later, it’s like magic 🙂 3. Be creative. Try making what you’d consider you’re “dream nachos.” Then m ake a Greek version, a Caribbean version, and/or good ol’ Tex-Mex. 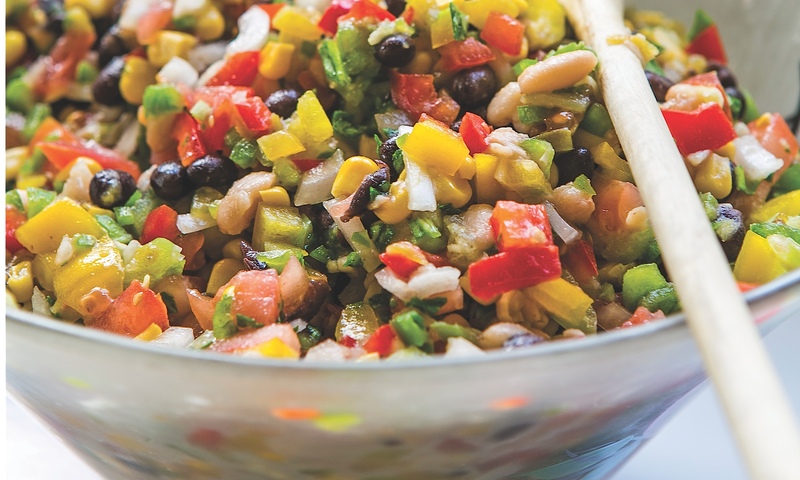 Mix it up and have all-veggie nachos or use some crazy ingredients like toasted sesame seeds or capers.. No need to restrain yourself, this dish is messy and sloppy and will turn out del-ish once covered in warm, melted cheese. Have fun, because you have TIME for that when making dinner only takes 15 minutes! (1) Season the pork tenderloin generously with salt and pepper. Heat 1 Tbs. oil over medium-high heat in a skillet. When hot, brown the tenderloin on all sides, turning every 4 minutes or so and cook until tenderloin is firm, about 15 minutes total. Remove from heat, cover with foil, and let sit 10 minutes. When cool, slice the cooked pork into chunks and set aside. (2) Spread a piece of baking paper across the bottom of a large oven pan. Preheat your broiler. Spread tortilla chips in an even (or not so even layer) across the baking sheet and top with meat and cheese. (3) When the broiler is preheated, put the oven pan in and broil just until cheese is melted, 1 – 2 minutes. Remove from the oven and add beans, tomatoes, and onion. Top with minced herbs, pickled jalapenos, and a dollop of Greek yogurt. Serve immediately. (1) Defrost shrimp, drain, and rinse thoroughly. Place in a bowl with seafood seasoning and 1 Tbs. oil and stir until well-coated. Heat another Tablespoon of oil in a saute pan over medium heat. When oil is shimmering, add the shrimp and cook, 1 -2 minutes, or until shrimp is pink and can be easily cut in half with a fork. Put cooked shrimp in a bowl and set aside. (2) Spread a piece of baking paper across the bottom of a large oven pan. Preheat your broiler. Spread tortilla chips and coconut flakes in a layer across the baking sheet and top with shrimp and cheese. (3) When the broiler is preheated, put the oven pan in and broil just until cheese is melted, 1 – 2 minutes. Remove from the oven and add spoonfuls of salsa, slices of avocado, and jalapenos. Top with minced cilantro and a big dollop of Greek yogurt. Serve immediately. (1) To make slaw, put honey, paprika, 1/4 cup Greek yogurt, and mustard in a jar or container with a tight-fitting lid. Seal the container and shake until ingredients have combined. Season dressing to taste with salt & pepper and chill at least 20 minutes for flavors to meld. Mix thinly sliced cabbage, fennel, and carrots in a large bowl and add dressing. Stir until combined and chill slaw until ready. (2) Spread a piece of baking paper across the bottom of a large oven pan. Preheat your broiler. 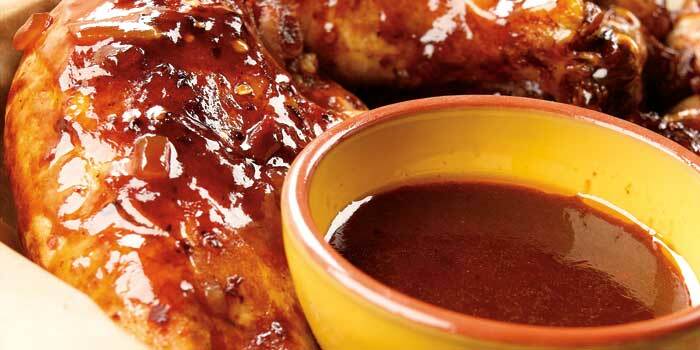 Spread tortilla chips in a layer across the baking sheet and top with barbecued chicken pieces and Jack cheese. (3) When the broiler is preheated, put the oven pan in and broil just until cheese is melted, 1 – 2 minutes. Remove from oven and add green onions and spoonfuls of coleslaw. Top with a big dollop of Greek yogurt and serve immediately. 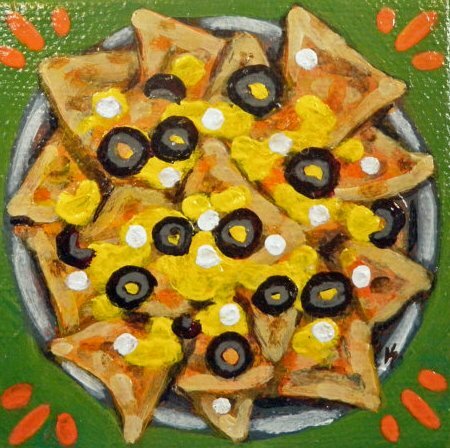 My question: what are the craziest (as in crazy delicious) things you can think of to put on nachos?